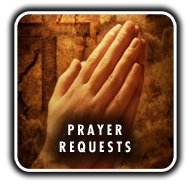 If you would like people from the community to pray for you then please submit a prayer request and it will be prayed for over the next month. You can do this anonymously or say who you are. We believe that God will journey with us whatever is going on in our lives.